Jojoba beads are perfect for scrubs. Along with adding gentle exfoliation to your recipe, they also add a gorgeous color. The Fresh Rain Sugar Scrub gets its blue hue from Ocean Blue Jojoba Beads. 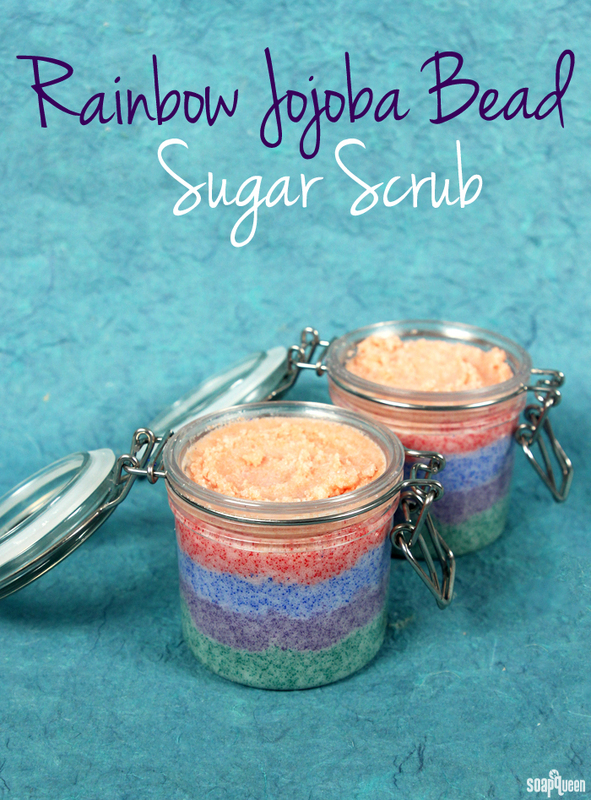 Using different colors and layering them creates a fun rainbow effect in this Rainbow Jojoba Bead Sugar Scrub. 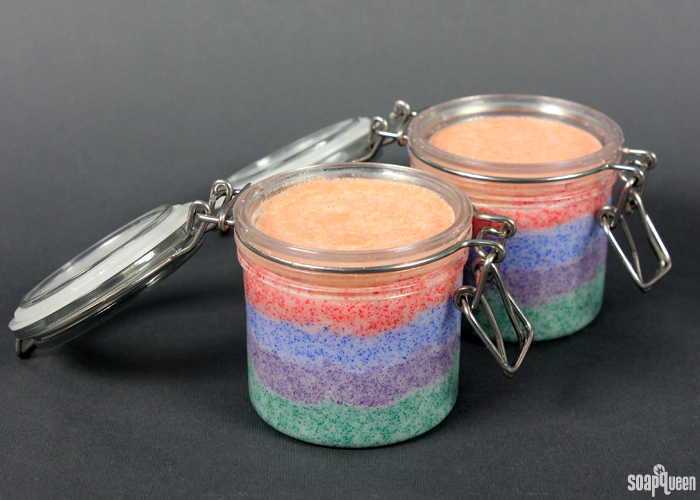 The Rainbow Jojoba Bead Scrub uses five different colors of jojoba beads. Sugar adds more scrubbiness to the recipe, which gets rid of dead skin and helps your moisturizer absorb. Spring Meadow Fragrance Oil adds a scent that is reminiscent of a bouquet of fresh flowers. Potassium cocoate gives the scrub lather and leaves your skin feeling non-greasy. Potassium cocoate is the potassium salt of coconut fatty acid. It’s an all natural liquid surfactant made from 100% whole coconut oil and potassium hydroxide. It works great in scrubs, shampoos and liquid soaps. This scrub works great for your body. It is also gentle enough to use on your face. The scrub is strongly scented, so you may want to use less fragrance if you use this scrub for your face.